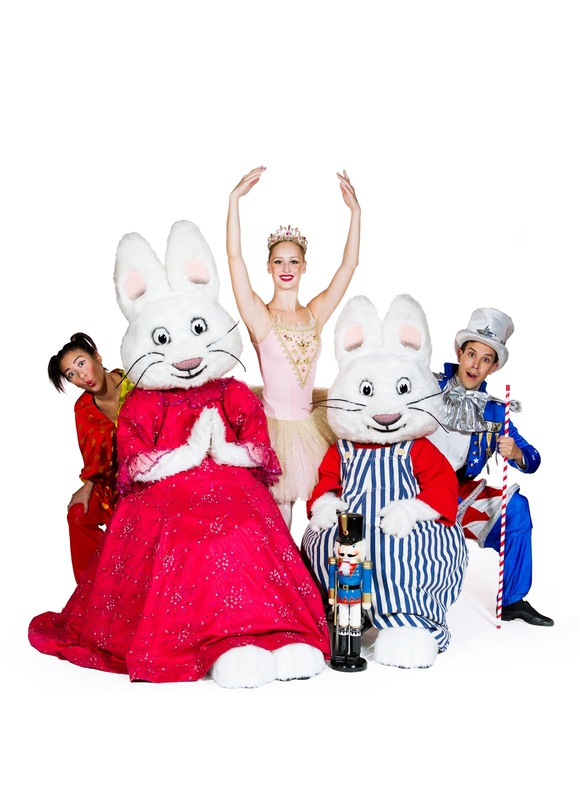 Max & Ruby in the Nutcracker Suite is coming to Toronto, Ontario on December 15th, 2012! If you have young children or grandkids, this would be the perfect show for the Holidays! Inspired by Tchaikovsky's Nutcracker Suite musical score, come and see Koba Entertainment's brand new musical production starring bunny siblings Max & Ruby! If you can't make it to the Toronto performance, here's the tour schedule! The 90-minute event showcases original choreography by Patti Caplette, beautiful costumes designed by Anne Armit, and breathtaking sets by Gemini Award-winner Brian Purchaluk! Max & Ruby in the Nutcracker Suite! The show begins on Christmas Eve, while Ruby is trimming the Christmas tree. Her bunny brother Max is enjoying the mouth-watering scent of freshly baked gingerbread cookies! A gigantic package arrives at the door, and Ruby discovers that each new toy is from the story of the Nutcracker Ballet, including a special Nutcracker doll! While Grandma reads Max & Ruby the story of the Nutcracker, Ruby’s imagination transforms her into one of the characters in the beloved ballet. 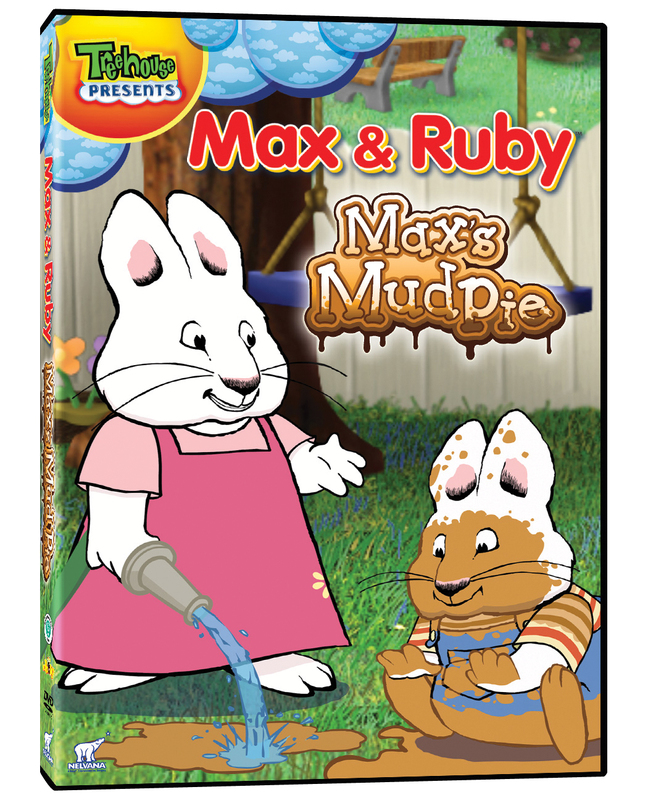 Max joins Ruby, but his own imagination leads the story in a sweet direction. The bunny siblings head off to bed with visions of candy canes dancing in their heads! 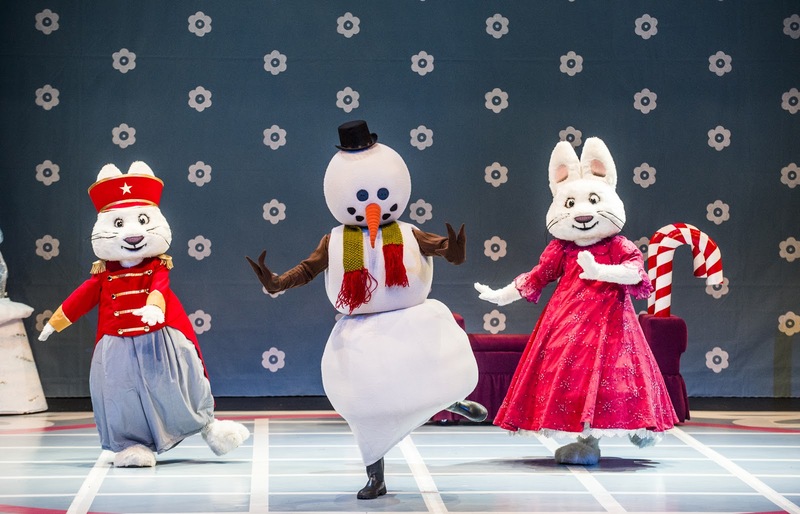 "Max & Ruby’s adventure, guided by the classic notes of Tchaikovsky’s masterpiece, is full of delectable dance and holiday magic perfect for the whole family." 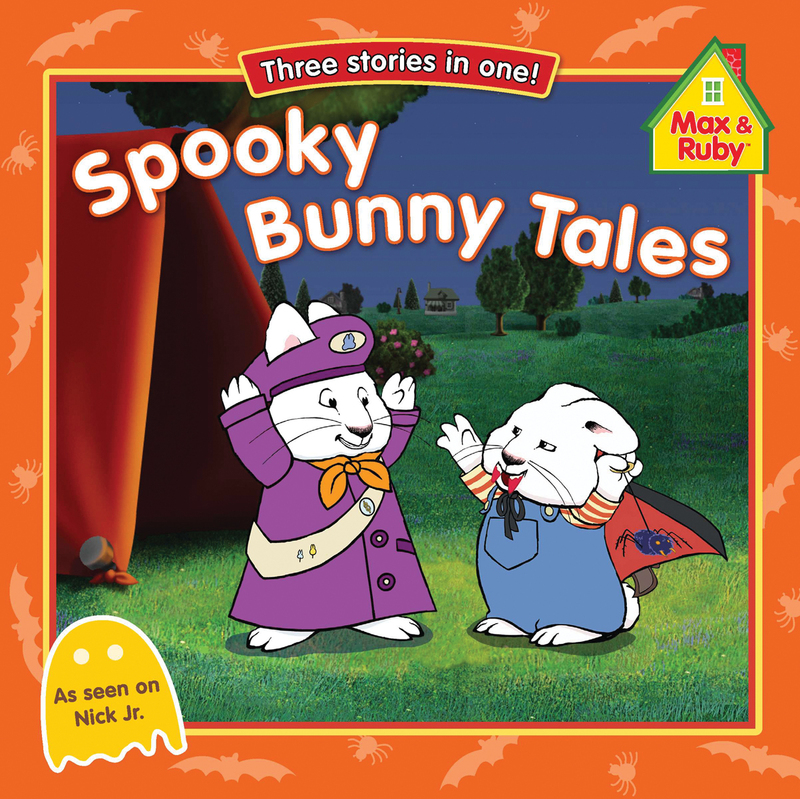 The tales of Max & Ruby began as an enchanting book series by author Rosemary Wells, and has sold over 3 million books worldwide to date. 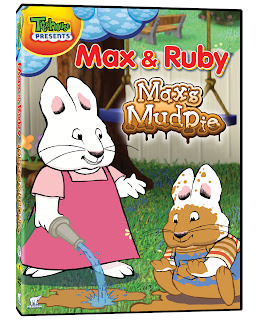 With their first television debut in 2002, Max & Ruby’s shows are loved by children worldwide, including Canada, the US, Finland, France and Sweden. Max & Ruby in the Nutcracker Suite will be coming to the Sony Centre for the Performing Arts! Performance: Saturday December 15th, 2012. Buy tickets here! WINNER: Marla P.WIN a family pack of FOUR (4) theatre tickets to see Max & Ruby in the Nutcracker Suite, in Toronto, Ontario AND a Max & Ruby PRIZE PACK consisting of a Max & Ruby Book & DVD! Tickets are for the TORONTO show at the Sony Centre for the Performing Arts, on Sat Dec 15th, 2012 @ 4:00pm. Contest ends Dec 8th, 2012 @ 8:00pm EST, and winner must respond by Dec 9th @ 8:00pm EST! Open to Canada. First leave a comment telling me what you think would be the BEST part of WINNING Max & Ruby in the Nutcracker Suite! Then enter via the form, below. Good luck, I hope you WIN! It was 20-years ago in November 1992 when I was a freezing student with no winter jacket. If you think that it’s absurd to be jacketless in -40⁰ Canadian weather, then you’re right! My mother, fed up with my predicament, decided to buy me a down-filled winter jacket for the Holidays. As she, my father and brother already owned great winter jackets, she decided to procure me the very same one. She took me to Eddie Bauer to buy me, what was then called, the Ridge Line down-filled winter parka. What I remember from that first visit, was that I had the choice of burgundy, navy, or forest green for my parka (I chose navy blue). The sales associate suggested that I go one size up, should I wish to layer my clothing underneath. I questioned the suggestion, but 20-years later I know now that I was given sound advice. Little did I realize that this jacket would be with me for half a lifetime, through all major life events. During those 20 years, my Eddie Bauer jacket was with me as my life began to unfold and blossom. It came with me one winter to Paris, France, and toured with me inside the Louvre. I wore my parka as I took in amazing sights like the Mona Lisa, the Raft of the Medusa, and The Bather. While others froze inside the museum, I was toasty warm. My Eddie Bauer Ridge Line winter parka always came with me to walk my large Newfoundland dog in -40⁰ weather. It surprised me that I never bumped into a soul on our long winter walks, while I stayed toasty warm in my jacket. On bitter cold nights, I had my down-filled hood done up tight around my face and stayed protected against the elements. It was at this same time, that I also bought my fiancé an Eddie Bauer Ridge Line down parka for the Holidays. He also chose the navy colour, so you could say we were “well-matched”. -40⁰ and Not a Care in the World! My fiancé and I were married in a February, and it was the one time I did not bring my Eddie Bauer jacket along. My winter jacket was certainly fancy, but my body was chilled to the bone! Many years passed, and my husband and I discussed having a child. I was pregnant during the winter season, and it was a good thing that the Eddie Bauer associate so many years earlier had suggested that I purchase a jacket one size bigger. 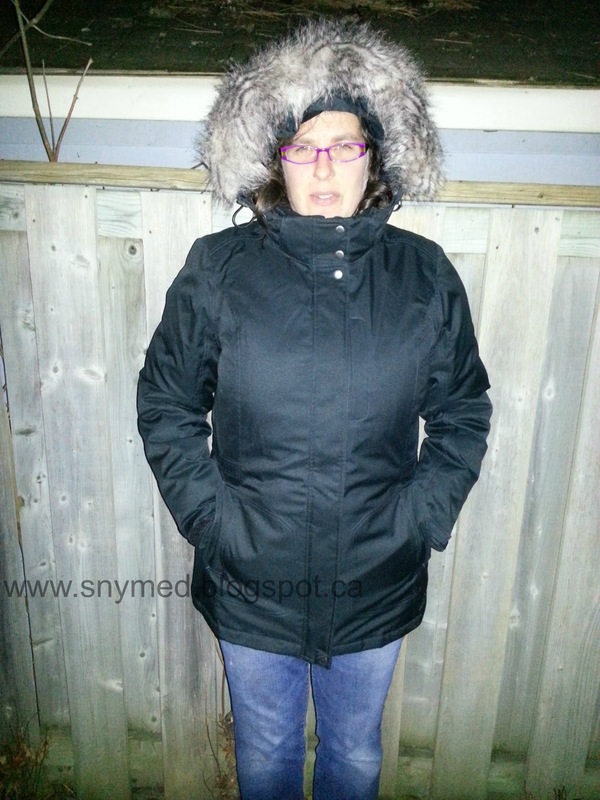 I simply adjusted the waistband on the parka, and I stayed warm during my pregnancy. 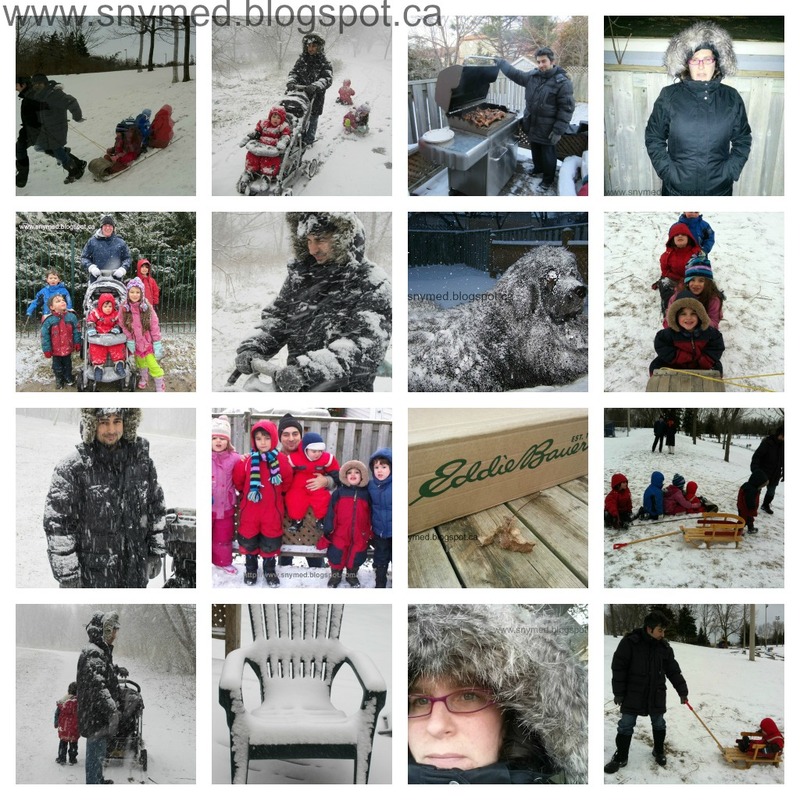 We played outside in the harsh Ontario winter with our little son. He would be all bundled up in a full snowsuit as we pulled him in his toboggan, and our Eddie Bauer parkas kept us the perfect body temperature. Four more pregnancies and winters later, the jacket still stood up to the extreme wear and tear that I had waged on the jacket. The parka was also with me on unfortunate occasions, such as at the cemetery for my Father-in-Law’s winter funeral. It was bitter cold as the wind whipped through our grief stricken congregation. Not that I thought about it at the time, but my husband, mother, brother and I were all wearing our Eddie Bauer Ridge Line parkas on that day. We were sick of heart, but none of use became sick standing around in the freezing weather. The year was 2010, and sadly my husband inherited his dad’s brand new Eddie Bauer parka. My husband and I began flipping through old photos, and the topic of our Eddie Bauer parkas came up. Year after year, the jacket kept showing up in all my outdoor winter pictures! I could not believe that 20 years had passed since mine had first made an entrance into my life! I am very hard on my clothing, and decided that it was about time to retire my old parka. Whereas every other family member still had a Ridge Line jacket in like new condition, mine was now frayed at the sleeves, one pocket was beginning to detach and my zipper needed replacing. Amazing, if you realize that we’re talking about a well-used, 20-year old winter jacket! I ignored these issues for many years, and my jacket was still immaculately warm, even snapped up—without even making use of the zipper! I wore it up until this month—November 2012—20 years exactly! The choice was obvious to me: the heir to my retired parka’s throne would be another Eddie Bauer parka! Although the new prince would no longer be called Ridge Line, but WeatherEdge® Superior Down Parka. I went to the Eddie Bauer store this November wearing my old parka. The associate showed me all the different down-filled parkas. There were quite a few selections, but I wanted one as similar to my previous jacket as possible. After all, it had been my formula for winter success before, and would be so once again. I decided to try on the parka that was the same size as my other jacket, and it was a perfect fit! 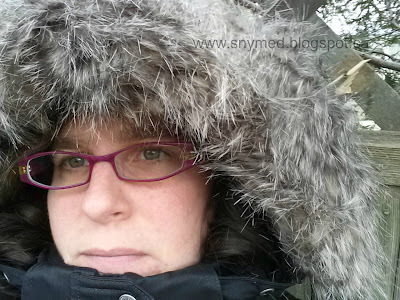 For the WeatherEdge Superior Down Parka, I had the choice of black, dark purple or off-white (I chose black). I loved that unlike my old Eddie Bauer parka, the new hood had removable fur. And my absolute favourite new feature of the jacket was the fleece-lined sleeves, neck-wrap and pockets. The old men’s Ridge Line parka always had fleece-lined pockets, but not the women’s jacket. The fleece makes your hands feel warm if you put them in your pockets and you’re not wearing any gloves. Judging from its weight and feel—and from already having worn it outside—the WeatherEdge Superior Down Parka is just as warm as my Eddie Bauer Ridge Line jacket! 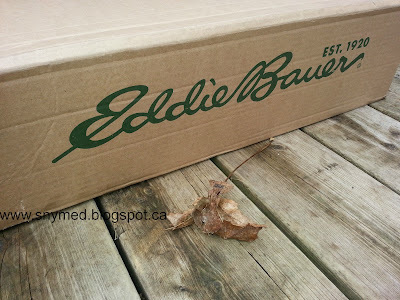 It was a wonderful experience picking out my new Eddie Bauer WeatherEdge Superior Down Parka. Could it be that another 20 years of memories are in the making? Although I can’t tell you now for certain, check back in 20 years and I’ll let you know! The Eddie Bauer WeatherEdge Superior Down Parka is suggested for “extreme cold”, -29⁰ C to -17⁰C (-20⁰F to 0⁰F). WIN your very own Eddie Bauer WeatherEdge® Superior Down Parka (Canada/USA)! My friends at Eddie Bauer know how much I love my own parka, that they are giving away one WeatherEdge® Superior Down Parka (for men or women). You can choose your own size and colour, (subject to availability)! Jacket retails for $416.97 CDN ($369 + 13% HST) in Canada, or $299 USD (before taxes in the US). How to Enter!Comment below if you would keep the jacket for yourself, or give it to someone if you are the winner! And, fill out the contest entry form, below. 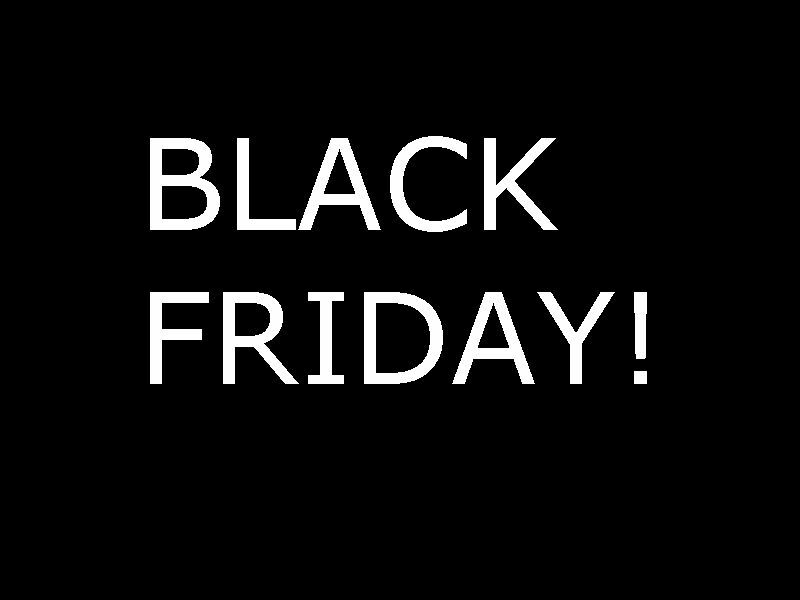 Ends December 21st, 2012 @ midnight EST. Good luck, I hope you WIN! I admit that I’m a hard-to-buy-for Mama, usually offering few suggestions of what I’d like for the Holidays. But ask me what I want for the kids, I can instantly rhyme off clothing, books and learning toys for my entire brood. This is often the case with us Mamas who put our families first, and ourselves last. So I’ve decided to make a wish list for the Holidays, and cease being the difficult one this year. Press “Like” if you have a hard-to-buy-for Mama on the list, or you’re hard-to-buy-for yourself! A Sleek New Laptop! – I own 4 laptops, all broken in different ways. We have the computer that the kids snapped off all the keys to make “alphabet soup”, one with spotty wifi connection, the antique that’s incompatible with today’s technologies, and the one I’ve dubbed “The Matrix” due to the strings of binary code it displays. I want a great new laptop, one that’s thin and sleek, with a touch screen, and an awesome sound system for my favourite tunes. 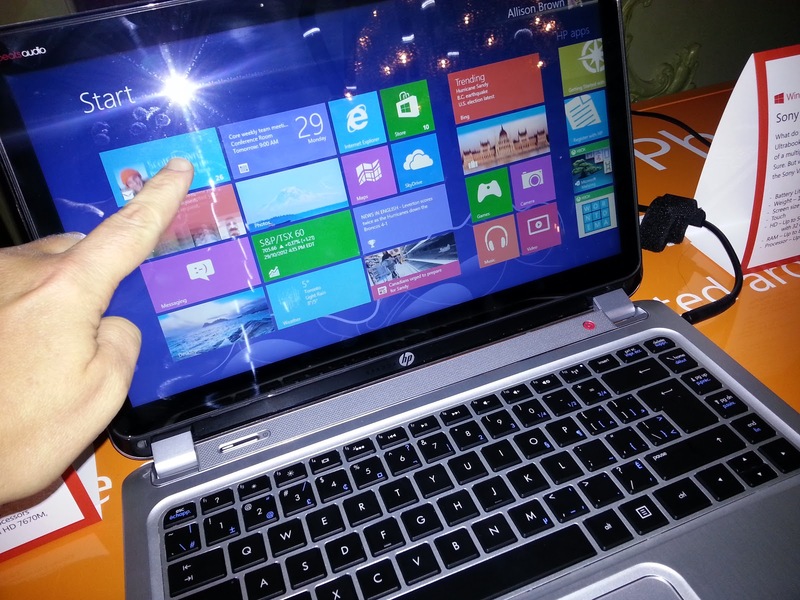 Specifically, I would like the HP ENVY TouchSmart Ultrabook 4! Mama Massage with Mani-Pedi – I have a beautiful vision of absolute peace and relaxation, as I enjoy a deep tissue massage with no kids running around me fighting and screaming. To add to the bliss of this fantasy, I would love an exfoliating pedicure for my tired Mama feet, and a manicure that says “woman”, not “mommy”. 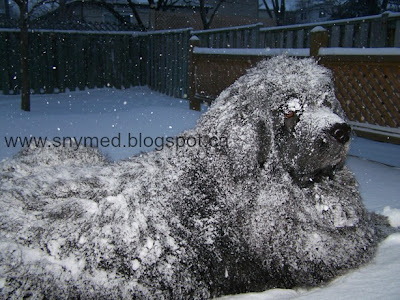 Please send me on a spa retreat like the ones offered at the Elmwood Spa in Toronto! New Threads for Mama! – After having 5 kids in 5 years, my pre-pregnancy wardrobe just won’t cut it anymore. I don’t need labels like Gucci and Prada, just a couple of nice outfits that shout cute and sophisticated. If anyone from Jacob or H&M or is reading, please make sure my husband comes home with some elegant dresses, figure-flattering blouses, curve-hugging skirts and stylish slacks! Beautiful Baubles! – Once upon a time I had a beautiful pair of diamond earrings. How elegant I looked with sparkling lobes! Sadly, the kids got into my jewelry box and lost one of the earrings forever. Fitfully, I would like a new pair of elegant evening earrings with matching necklace. I love long, dangly silver earrings with a simple design. If the jewelry has stones (real or faux), please let them be diamonds, amethysts or in a turquoise colour! Etsy has lots of hand-made jewelry that would fit the bill. Book Me! – I sometimes forget that I once read for personal interest, with all the storybooks I read daily to my kids. This Mama loves to read Science Fiction and challenge her vision of the future! Buy me any book from my favourite UK author Alistair Reynolds and you will have found me the perfect gift! I’ve also read Science Fiction anthologies by Gardner Dozois for the past 2 decades, and would love another volume. E-book version please! 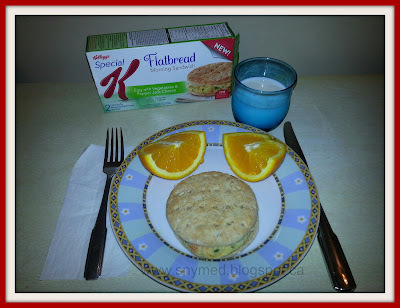 Dinner & a Groovy – Dinner and a movie is absolutely underrated, especially if you’re the Mama of 5 little kids! Set a date, book a babysitter for the evening, and let me pick the movie and the restaurant of my choice. I would like to see an action flick like Skyfall and eat at one of the great Italian restaurants in Toronto, like Centro. Afterward, if you find a hot nightclub that really grooves, that would be the cherry on top of the sundae! Bring your dancing shoes, this Mama’s getting down! This article was written by me, Jenna Em, and appears in the Sunday, November 25th, 2012 issue of the Huffington Post! Having never ordered clothing online before, I decided to take the plunge and try HolyClothing, who describe themselves as "exclusive, romantic clothing". I browsed through their entire collection, and what first struck me was that their items were quite beautiful! Next, I noticed that all of their items came in a large varieties of colours from black midnight to purple passion. But I was floored to see that their sizing runs from a size small to a 5X! Ordering online, my biggest fear was that my selection would not fit me properly. After all, I sometimes take hours in the fitting room and leave without a single purchase! So I was quite careful to measure myself and compare my measurements to the Holy Clothing online sizing. The Holy Clothing Customer Service personnel were great with helping me find a dress that would fit me well. They were very patient with me, and we went back and forth a few times via e-mail. After browsing the website, I decided on the Bella Peasant Maiden Satin Lace-Up Corset A-Line Dress Gown in the "Blue Divine" colour. I am just partial to that colour, but it was difficult to choose with all the other blues they offered too like sapphire blue and majolica blue. In fact, I noticed that they were offering 17 different colours in my particular size! So, I placed my order and was surprised that my dress arrived in just 2 days! Before I opened my package, I was surprised by the weight of it--heavier than I had imagined it would be. Perfect, as I wanted to be able to wear the dress this fall and winter. Then I took it out of the wrapping, and fell in love with the embellishments on the bodice. The colour of the dress was darker than I had thought it would be from their website, but I loved it! Then I tried it on and hoped that the dress would fit--and it fit me perfectly! I was so pleased and glad that I took the extra time to measure myself and compare my measurement to the dress's dimensions online. Holy Clothing's measurements were right on! I was impressed by how much fabric the dress had. I mean it was flowing and it allowed me to twirl around and courtsy like you see in the movies. My kids started chasing me around the house and all 5 kids fit hiding under the skirt of the dress. That's how much fabric the dress had! I loved the beautiful sleeves on the dress, they were just lovely. 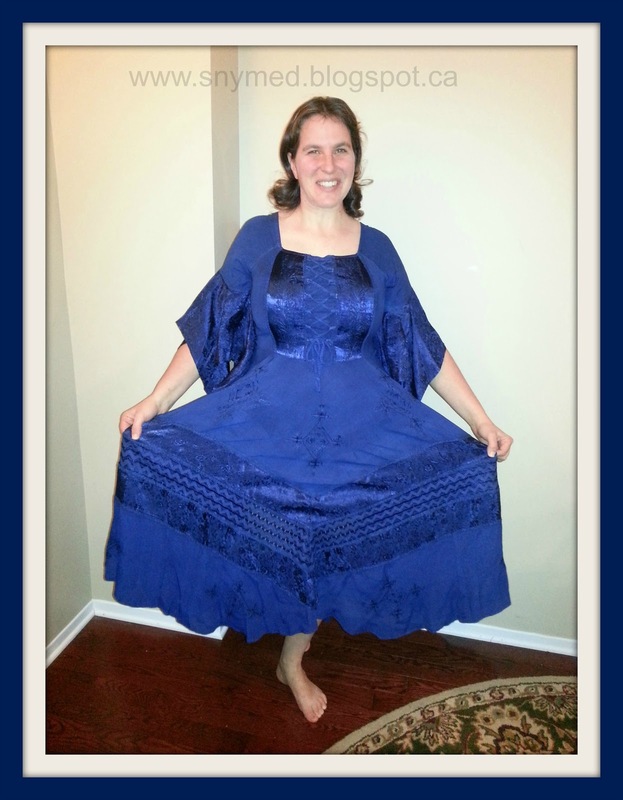 I would definitely recommend Holy Clothing for women looking for beautiful, well-made, great-fitting garments! I'm looking forward to my next purchase! Check out HolyClothing on Facebook. All Aboard! It may be commonsense, but are both you and your spouse on board with the decision to have another child? If the answer is no, then you have some serious talking to do among yourselves. The decision must be made unanimously, or you risk spousal resentment--or even worse--resentment toward your child. What Can You Offer Another Child? When I say what can you offer another child, I’m not talking about materialistic things. I’m talking about those rare, hard-to-find things like love, attention, respect, and life lessons that make a child grow into an upstanding citizen. But more importantly, are you able to offer this to two (or more) children? You can believe me when I say that children can sense when you have favourites, and notice when they have been left out. What Can a Child Offer You? Often I hear that a deciding factor for having an additional child is so the firstborn child can have a brother (or sister). What makes you want to add another child to your family? Are you willing to accept unconditional love, friendship, humour—and even great challenges, some which you did not experience with your first child? Can you embrace a child that has you or your spouse’s best (or worst) qualities? Can you accept if your second child doesn’t have the same qualities that you admire in your firstborn child? Who Cares? If you’re currently working outside of the home, who will care for your new addition? Government parental benefits do allow parents to stay home for the first year (in Canada), but after this timeframe, childcare costs should be factored in. If you have 2 children requiring childcare, your costs will double. Spread Too Thin? Will you have enough time to devote to two (or more) children? This is the same concern that my husband voiced, when we were deciding to grow our family from 4 to 5 children. It was very important to us that we would have lots of one-on-one time with each child, and be able to devote individual attention to each. As kids get older, they require individual help with homework, reading and extracurricular activities. More importantly, building a one-on-one relationship with your child is essential in order to learn about them as an individual—and for building mutual love, respect and trust. The Proper Care & Feeding of a Child! On a practical note, do you have adequate resources to care for an additional child right now—resources to allow him or her to thrive? We’ve all heard expressions like “Things have a way of falling into place” or “God will provide”. However, if you’re having a hard time making ends meet right now, ask yourself if you should wait before taking on the responsibility of an additional child. Health Matters! I believe that if a pregnancy will endanger you or your spouse’s health—or the health of your unborn child—then you should not grow your family right now. If there’s a permanent health matter, then there are definitely other ways to grow your family, such as through surrogacy or adoption. Or perhaps your family feels complete already, and you’re happy with the family that you already have! 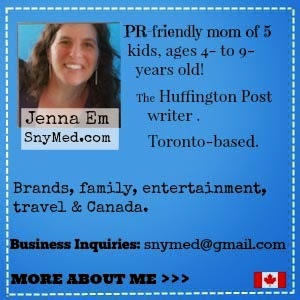 This article was written by me, Jenna Em, and appears in the November 25th, 2012 issue of the Huffington Post. I love being part of the Kellogg's "Kellogger's Network"! Kellogg's is a brand that can always be seen in our household, and my family certainly enjoys their products! So naturally we were very eager to try out one of their new products: the Kellogg's Special K Flatbread Morning Sandwich. We chose the "Egg with Vegetables & Pepper Jack Cheese" selection. Each box contains 2 breakfast sandwiches. 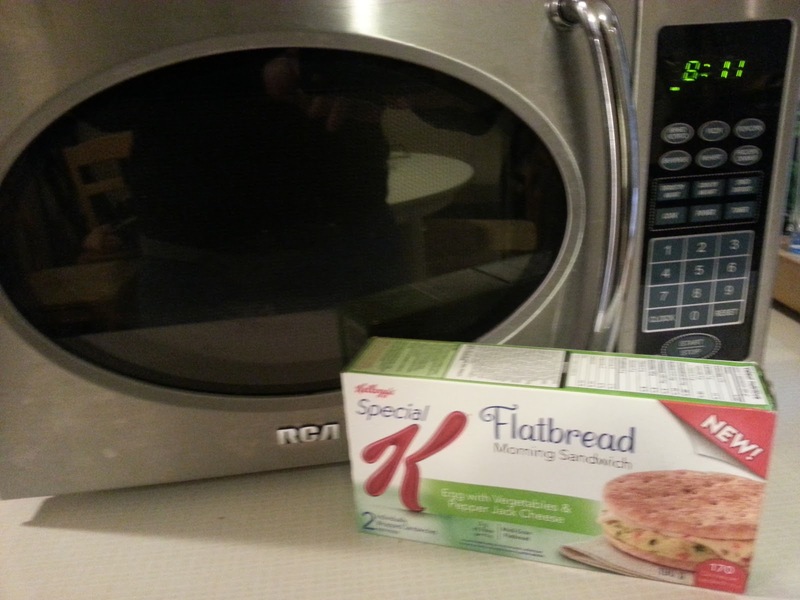 From frozen, the Flatbread Morning Sandwiches were very easy to prepare: just 75 seconds in the microwave on a paper towel-lined plate, and then let stand in the microwave for 1 minute. This is about the same amount of time it takes to make toast! My family and I really enjoyed the Morning Sandwiches! They were very flavorful, served hot, and were just the right amount of food to satisfy. I have always loved the combination of egg, cheese and bread! 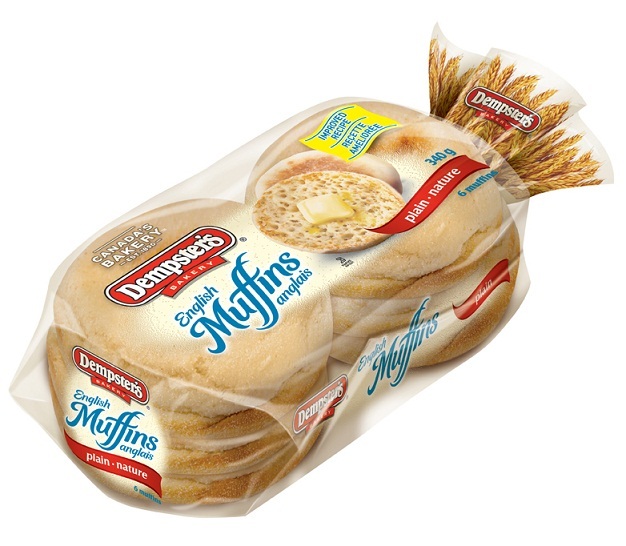 From a nutrition standpoint, the sandwiches are considered a good source of protein (9 g of protein per 95 g). In addition, the Egg with Vegetables & Pepper Jack Cheese sandwich only has 170 calories, which is great for those looking to achieve a healthy weight by portion control. I would definitely purchase these again! We've been talking for years about taking our kids to Walt Disney World in Orlando, Florida. It was decided long ago that when our youngest child would turn 3-years old, we would take all the kids to Walt Disney. But suddenly my husband got the itch, and we started talking about visiting Disney sooner. 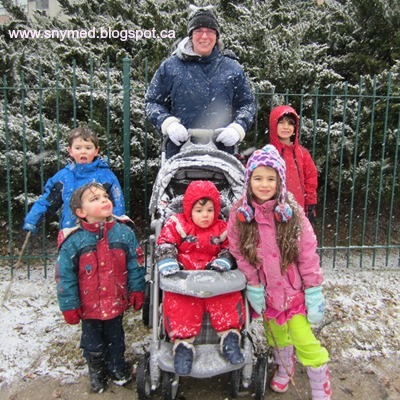 I can't believe we will be going this winter: with our 5 kids, 2-7-years old! Amber Russell, CAA "Magical Vacation Planner"
CAA put me in touch with their "Magical Vacation Planner", Amber Russell, whose dedicated role is to help families plan their perfect Disney vacation. From airfare, accommodation, park tickets, meals, transfers and more, Amber can arrange this and more. Amber stated that many people find that planning their own Disney vacation is overwhelming, and that's where she comes in! And with a savings of 10-35% off a vacation package, this definitely sweetens the deal. I spoke to Amber at length and asked her all my Disney-related questions. She was quite knowledgeable and provided useful information. In regards to Disney park tickets, I learned that it is much less expensive to purchase multiple day Disney park tickets. For example, a 4-day Disney park pass would be cheaper than 4 single Disney park passes. I was shocked to learn that the savings works out to about $100 per family member, which would save my family of 7 about $600 in savings (my 2-year old gets into the park for free)! In addition, CAA does offer slightly discounted Disney park ticket rates. Although non-CAA members can purchase Disney park tickets, there is an added savings if you use your CAA membership card when making the purchase! This works out well for us, as we are longtime CAA members. CAA sells up to 10-day Disney park tickets. To book Walt Disney World park tickets via CAA, it's as simple as walking into your local CAA office! All you have to know is how many days you want to visit Disney, how many kids and adults will be going, and whether you want a Park Hopper pass or any other add-on options, such as the water parks. It takes just a few minutes for a CAA representative to programme the Disney park tickets to your exact specifications. And what I like best: you leave their office with the actual tickets in hand! Are you looking to book a Disney vacation this winter too? Amber Russell can be reached at 1-866-310-9388, ext 6713. Or you can e-mail Amber here. 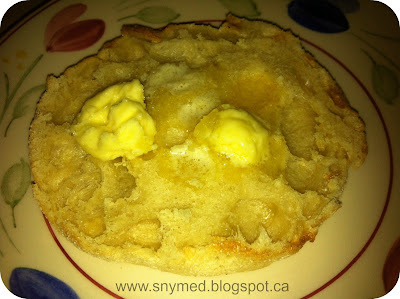 Although this post has been sponsored by CAA, opinions are my own. 2.Set of 3 reusable Niknak.ca snack bags, (1 large, 1 medium, 1 small). There is one boy's set & one girl's set to be won. Contest is open to Canada & the USA and runs from Nov 14 to Nov 28th at midnight EST. Complete the entry form, below. 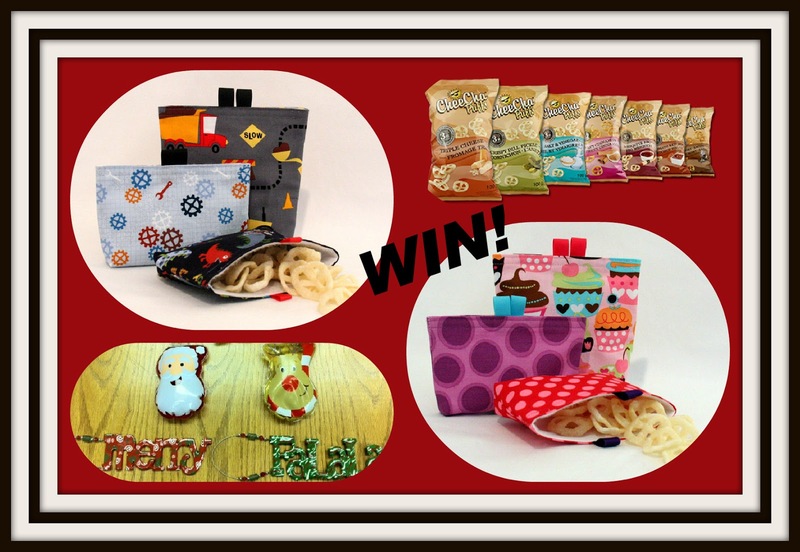 Please leave a blog comment saying who you would give this prize pack to, should you win! GOOD LUCK! My son looked at the selection of Cypher Augmented Reality learning cards and decided on the "Letters" box. The choices also included "Numbers" and "Wild Animals", but he gravitated toward this one. It definitely was a good choice on his part, as his JK class is doing letter practise. 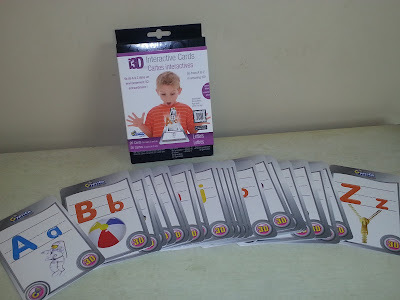 When I got home from the store, I opened the Cypher learning cards and looked them over. They are similar to playing cards, but much larger in size. One side has a letter and corresponding image, and the rear of the cards displays a barcode of sorts and the same image as on front of the card. I would suggest that an adult be in charge of the cards, as they do not seem to be laminated and should not get bent or wet. 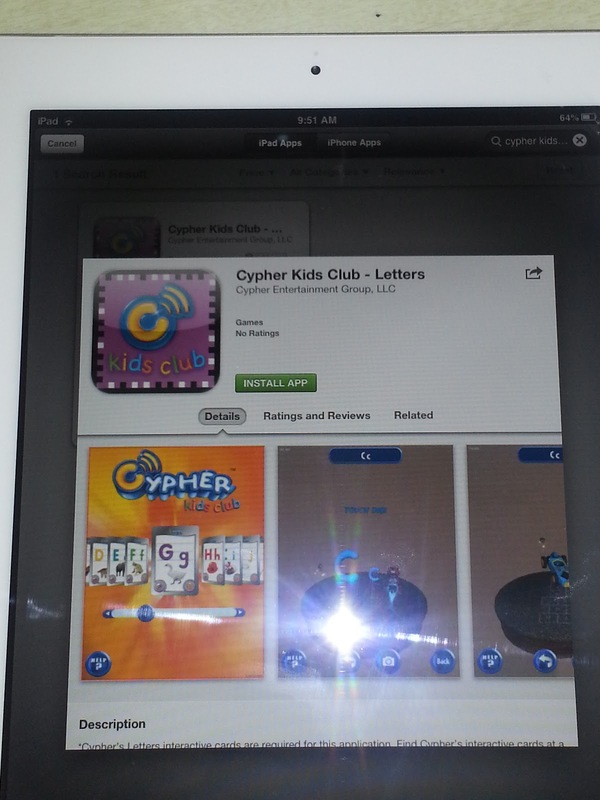 We downloaded the FREE Cypher Kids Club Letters app for iPad, and had no problems finding it in the Apple Store. Thank goodness it downloaded fairly quickly, as the kids were very eager to play, er, learn! The learning cards cannot be used unless the app is downloaded to the iPad or iPhone. 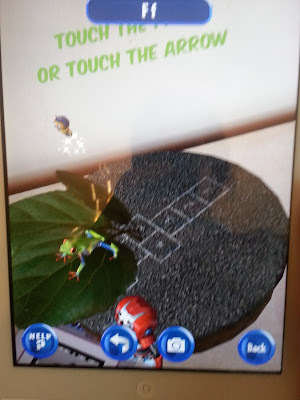 The Cypher Augmented Reality learning card app was very neat! 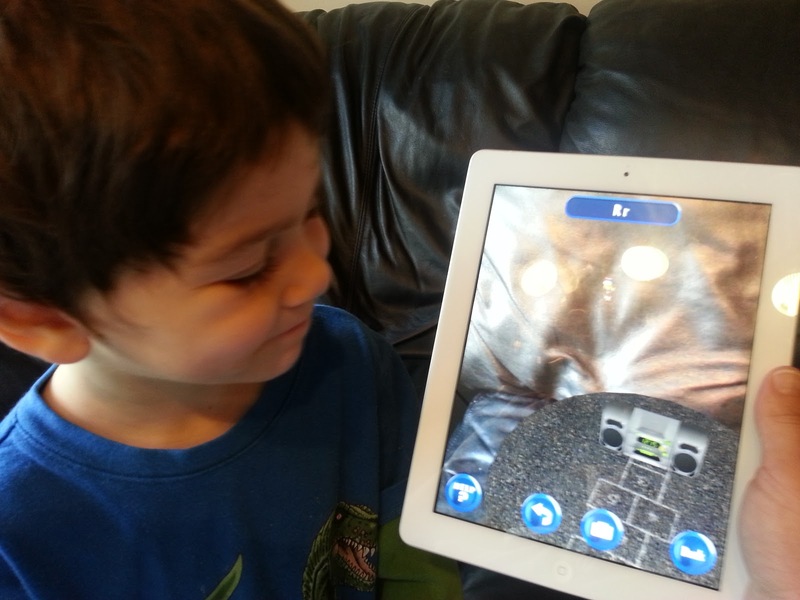 The app works together with the iPad camera and learning cards. The result is 3D letters and images that really pop out. The app features delightful little animations with 3D frogs, icecream cones, umbrellas and more. It was also interactive so kids could participate by touching the screen and following verbal or written instructions. 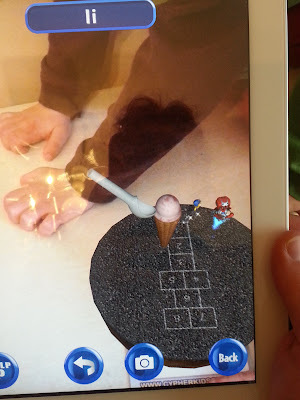 A Cool Screen Shot of Icecream in the Letter "I"
My JK child really loved the Cypher Augmented reality app and the cards. It definitely is a great learning tool! I would suggest that parents keep the cards safe, so they are not bent (as they may no longer work). 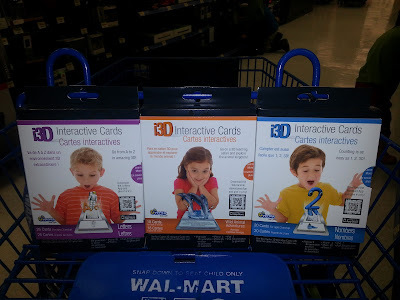 Also, I would suggest that learning time be interactive with parent and child, as switching between letters and scanning the cards was too advanced for the target age. Do consider this card set if you are working on letters with your child. When the iPad is turned off, you can also use the flash cards separately. You can find Cypher Kids Club on Twitter or Facebook. Check them out! 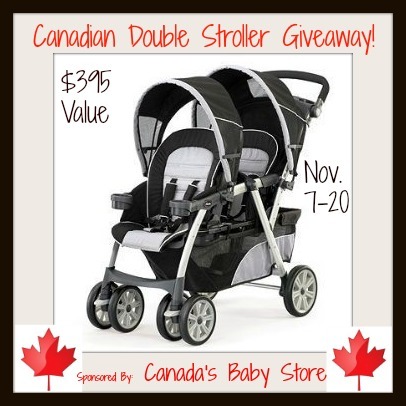 Win a Chicco Cortina Together Double Stroller! As mom to 5 little kids, 7 years and under, I can vouch that a double stroller is a must if you have twins, close-in-age kids or a daycare. So why not WIN one, compliments of Canada's Baby Store and hosted by Baby Giveaways Galore. Contest runs from November 7th-20th, 2012 and is open to Canada only. Please leave a COMMENT on this post, and enter via Rafflecopter, below. Check out their store for tons of baby items, like carseats, strollers, nursery items and more. Gift Registry available. FREE shipping on Canadian orders over $50 (for shipping within Canada). FREE 90-day product warranty. 30-day money back guarantee. Open 7 days, 24 hours. Want to know more about the Chicco Cortina twin stroller? Here is a video review and write up. Want to buy one? Use coupon code Mummy15 for 15% off anything in the store, even sale items (expires 2012/12/18)! 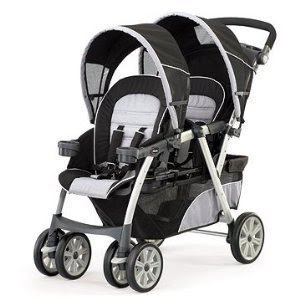 The Chicco Cortina Together double stroller is on sale right now for only $229.69 (retails for $395). CONTEST ~OVER~: Enter via Rafflecopter, below. Good luck! My four sons lined up on the top of the tallboy dresser, wearing superhero costumes. The first son sprang across the room like Batman, landing hard on the bed. The second son in a Spiderman suit launched himself at his brother, and spring-boarded off of him. The third son dressed as Superman missed the bed, banged his head, then bawled. Always consistent, the fourth son in Ironman gear also landed on the wailing brother. And then they all lined up to do it over and over again! What makes my four sons different from my one daughter? For one thing, all my boys like rough housing. If there’s fighting that involves hitting each other with a stick, then it’s smiles all around. If there’s an element of danger, the activity instantly becomes more appealing to the boys. Danger can be anything like throwing large objects at one another, sitting high up on the top shelf of the closet, or pushing close to a hot oven or pile of broken glass when asked to stand back. When given a choice, my daughter gravitates to activities that involve nurturing and femininity. To illustrate my boys’ nature, the other day two of my sons were fighting over who was “dumb” and who was “dumber”. Okay, amusing enough…until they were bashing each other when the other claimed the title of “dumber”. And so it continued: “I’m dumber!” BASH! “No, I’m dumber!” BASH! “NO, I really am dumber!” BASH! Until both boys were laying down side-by-side sobbing. And yet neither boy made a move to get up and leave his tormentor. I had stepped in to physically separate the boys, but would you believe that each boy sprang back into his original position? Boys! And what is it about blood-letting and boys? Not a single day passes without a bloody ear, scratched face or mysterious cut on the body. When asked how an injury occurred, the boys never seem to know! I once spied one son hitting his brother, and the victim refused to budge even though there was visible pain! He even had a little smile of appreciation on his face, as though to say “Wow, he really got me good!” At bath time, I count a scrape nightly, a fresh bruise weekly, and a chipped tooth monthly. To my boys, bloodshed is a sport! I was once dumbstruck by a conversation I overheard between my boys and their female cousin. My niece was detailing her favourite pastimes, which included ballet, reading and dress up. My boys, not wishing to be left out, rhymed off a list of their favourite diversions: “We like to fight, bonk each other, and uh…fight!” The boys weren’t joking, that really is their idea of a good time! What do you think? Are boys the wild part of our species? I would type my answer, but I have to stop the boys from bonking each another with a broom handle! This article was written by me, Jenna Em, and will appear in the Wednesday November 14th, 2012 issue of the Kuklamoo Kids blog. We Were "Among Friends" at Boston Pizza! I'm glad to be a brand ambassador for the Boston Pizza new kid's menu! 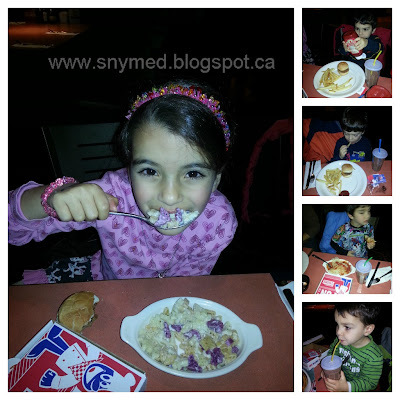 This Saturday my family and I had a great time at Boston Pizza in Toronto sampling the new children's menu! All 7 of us went to the restaurant: that is my husband and our 5 kids, 7 years and under. We saw old friends and new friends, so it really was a great party! What first impressed us, was that items on the kids' menu included a LOT of food, and cost only $6.99. When I say a lot of food, I mean that you choose a generous entree, a side, a drink and a dessert. It was a difficult choice, but my kids chose the BP Mini Cheeseburgers, Bugs n' Cheese (bug-shaped pasta) & Slurpin' Spaghetti. As a side, the kids selected caesar salads and french fries. All kids opted for chocolate milk. For dessert...well, I'll save that as a surprise! 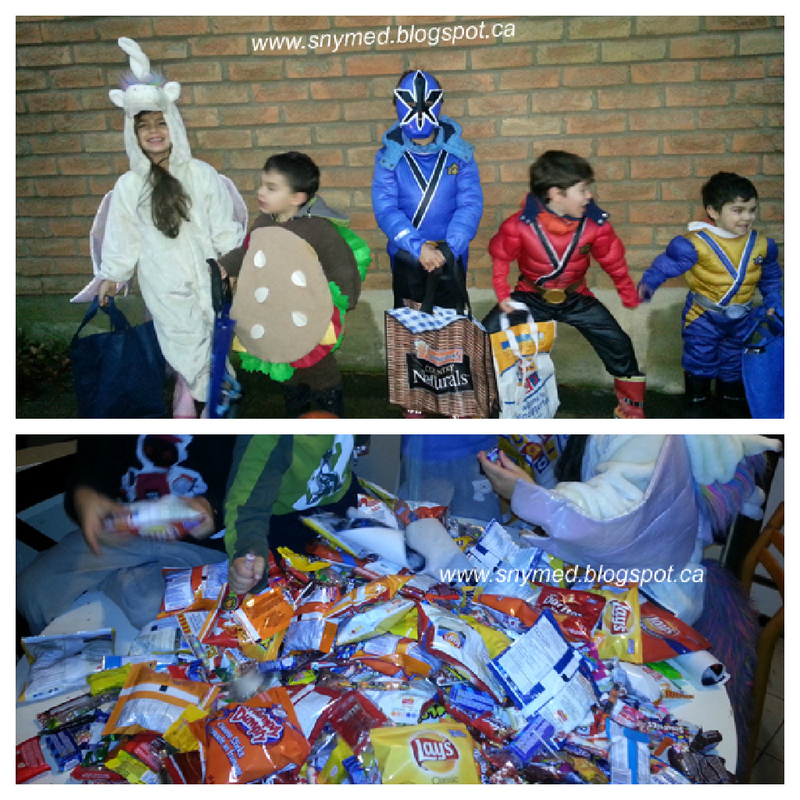 The Kids Eating Up! Someone's Eating "Bugs 'n Cheese", Yum! 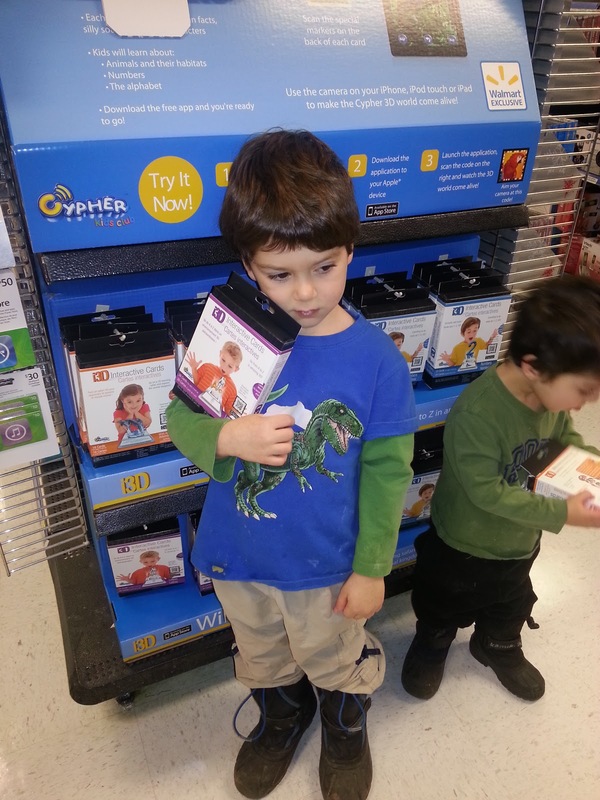 To their delight, the kids each received a generous kid's activity kit as part of the Boston Pizza kid's menu. It was presented to each child inside a mini pizza box! Peeking in, there were crayons, checkers, a memory game and a large activity book to keep the kids entertained. It was a very well thought out kit, and I think that kids will enjoy it, and parents will appreciate having their kids happily occupied. Kids Enjoying the Boston Pizza Activity Kit! My kids really enjoyed the food, and I have to say that my husband and I also savoured our meals. I ordered the Mushroom Swiss burger with french fries, and my husband ordered a Half Rack of Ribs and Wings, with a side caesar salad. My husband ordered a Pepsi, and I ordered a hot chocolate, not because of cool weather, but because it's all about the chocolate! Boston Pizza has an awesome BP Kids Card promotion on right now, in that you can receive 5 FREE kid's meals, with a minimum donation of $5 to the Boston Pizza Foundation. The donation helps local, regional and national charities that support kids and families across Canada. In essence, you are getting $34.95 in food in exchange for a $5 charity donation. A win-win situation and you can WIN this below! 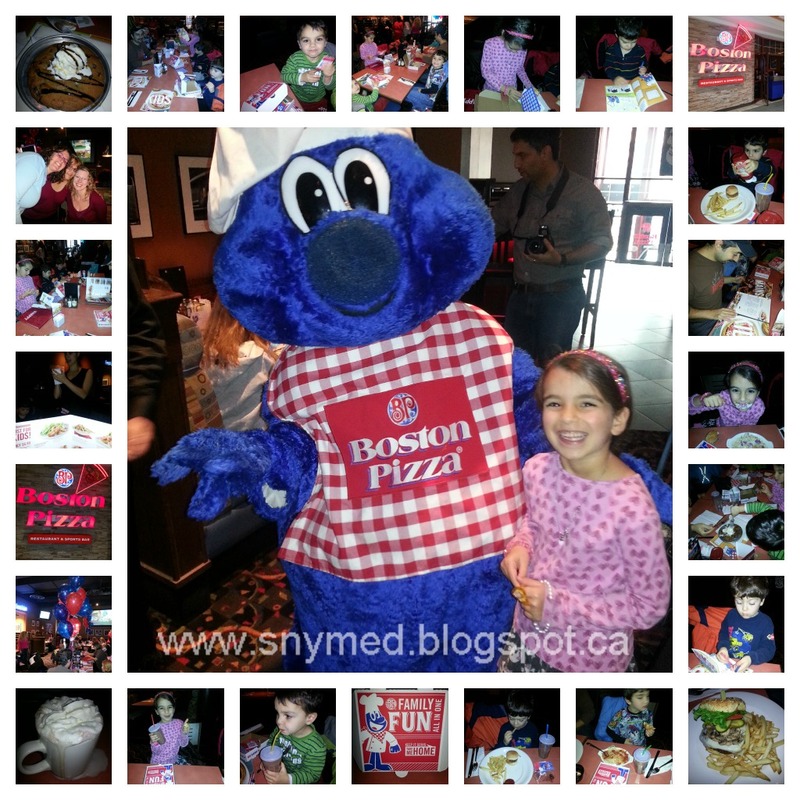 The kids were thrilled to meet Lionel, Boston Pizza's shaggy blue mascot with a chef's hat! My 2-year old son even talked about Lionel after we left the restaurant: "Want to hug Lionel. Nice Lionel." He just has that gentle look to him, especially with his red and white checkered tablecloth shirt. The atmosphere in Boston Pizza was very friendly and casual, which made me think that my family was welcome there. I would also go there just as a couple, as there was music and entertainment on multiple plasma screens, which definitely blends down the sounds of children. And now for the surprise: the kids ordered a GREAT Mini Chocolate Pizza! This was a hot-from-the-oven giant chocolate chip cookie, a scoop of icecream and generous drizzle of chocolate sauce! There was enough for everyone to share! Does it also look good to you? Check out Boston Pizza for your share! 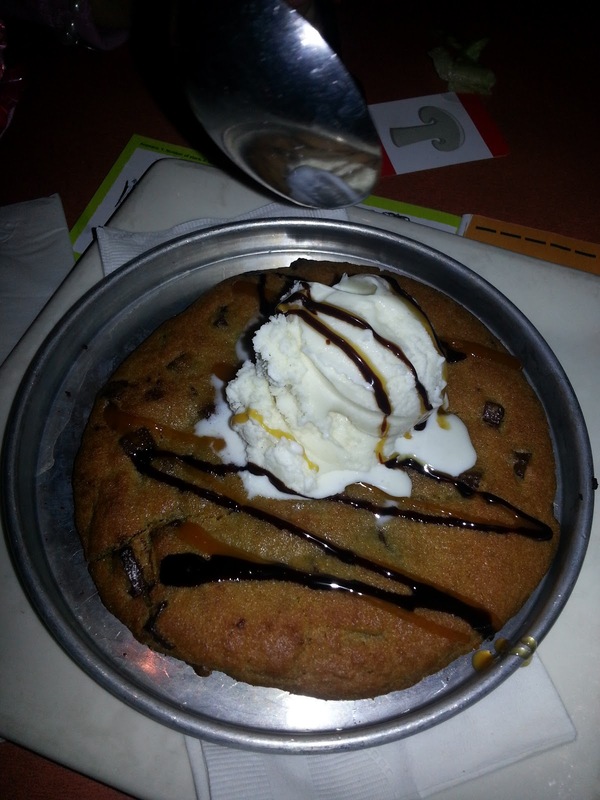 The AWESOME Boston Pizza "Panookie" Served Hot! To enter, first check out the new Boston Pizza kid's menu, then state in the comments below which item your child (grandchild, etc) would most likely order at the restaurant! Contest open to Canada and closes on Tuesday November 6th at 8pm EST. Please leave a way to contact you, if you are the winner. Good luck! If you are wondering whether you should switch to Windows 8, or a Windows Phone 8, have a read of my guest post on Sober Julie Doing Life! It talks all about the new Microsoft Windows 8 system that is now integrated into touchscreen, can act as GPS in Xbox games, and can even block out annoying phone numbers by accessing your Rogers phone services! Have a read of the article, and let me know if you would switch over to Windows 8 or Windows Phone 8! I love how Movember has helped build awareness for Prostate Cancer, other cancers and men's mental health. With early cancer detection, proper diagnosis and treatments, together we can reduce the sheer number of preventable deaths. A simple blood test can help detect Prostate Cancer, and a painless colonoscopy screens for colorectal cancers. All these tests are so easy, and yet I lost my grandfather and father-in-law to such cancers. In both cases the doctors had said that it would have been preventable "if" it had been caught early. To support Movember, my husband has started to grow his own moustache (see pic above), to start dialogues about men's health issues. I am really proud of my husband, as he doesn't usually like to draw attention to himself. But he is stepping up to the plate for this very important issue. What can I do to help? Helping is really quite easy. If you are a man you can learn your own medical history and be screened IMMEDIATELY for illnesses for which you are high-risk. If you are a woman, you can ensure that your grandfather, father, husband, son, brother, uncle, boyfriend etc are screened for these illnesses. What else can I do? If you are a man, why not grow a "Mo" (moustache) during this month of November to help start dialogues about Movember? Where can I donate? You can donate to Prostate Cancer Canada, the Canadian Cancer Society, the Colorectal Cancer Association of Canada, the Canadian Mental Health Association, or any other reputable charity that puts its money toward cancer and health research. My Pretty Playhouse Isn't Just For Girls! Every child I've ever met likes playing in cardboard boxes, but you wouldn't give your little niece a cardboard box for the holidays and toast "Merry Christmas!" This is where the Cascades My Pretty Playhouse comes into play, with a sophistication and charm you don't see in a regular cardboard box. It's adorable with double front doors, double back doors, a skylight and two window. 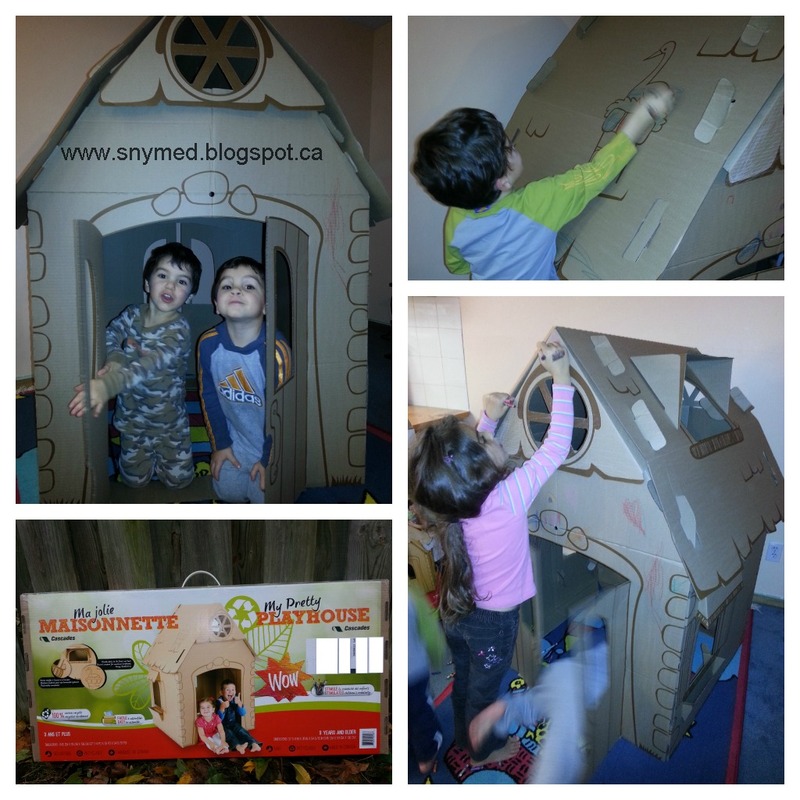 Made from 100% recycled cardboard, it's fairly easy for mommy or daddy to assemble, and stimulates a child's creativity. It is safe, recyclable and made in Canada. It is meant for ages 3 years old and up. Assembled it measures 37 1/4" x 39" x 54 5/16". What I liked about the My Pretty Playhouse is that your child can customize by drawing on it or colouring it in. It definitely combines the elements of pretend play and creativity, and this would be ideal for children aged 3-6 years old. Great for boys and girls. Would you like to buy this playhouse for that special little munchkin in your life? The My Pretty Playhouse can be purchased from the Cascades Boutique for $34.99 with FREE shipping. It definitely would make a great gift for the holidays. Draw & Decorate the My Pretty Playhouse! Win a Cascades My Pretty Playhouse from the SnyMed blog! Contest is open to Canada & the USA and runs from Nov 1, 2012 to Nov 23, 2012. One playhouse is available to be won. Enter using the form below. Good luck! I love to hear your comments, so please leave a note saying who you would give the My Pretty Playhouse to! Or, what you like about the My Pretty Playhouse!